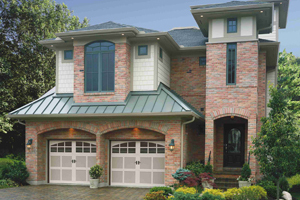 Semi Custom Classic - Garage Doors Torrance | G&G Garage Door Co. Warm. Distinctive. Timeless Garage Doors. These are the qualities that make a home stand out. With the Semi-Custom Classic, handcrafted wood garage doors, featuring stain grade or paint grade options, your home is sure to be the focal point among the others on the block. Nothing adds more than a new garage door for curb appeal. Exceptional beauty coupled with superior construction, the Semi-Custom Classic Garage door series from G&G Garage Door is designed to match any home with a variety of window and panel options for just the right look. Please contact us today or stop by our showroom and our team of experts can help you choose the right garage door for your home and budget.